Body butter is a revolutionary delivery system for topical ointments. It is thicker than a lotion, and this density allows for greater nutrient delivery. You can substitute this body butter for your massage oil, or make use of it after a scrub treatment to the skin. 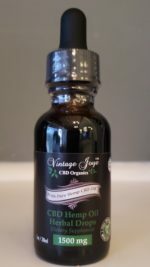 The organic CBD used as a primary ingredient helps treat many skin conditions (include body acne), inflammation, and pain. Simply rub the butter on the afflicted area, and relax while this product does its job! Although our body butter does have moisturizing benefits associated with use, it is not intended for use as a lotion. This product is recommended for all skin types. Those with severely dry skin will reap the most benefits associated with use. To use, smooth a generous amount onto damp skin directly after bathing. Massage gently until the product is absorbed into the skin. This product does not absorb as well without dampness, and applying to completely dried skin could result in a slick feeling. Although an adverse reaction is rare, it is possible to be allergic to the ingredients of this body butter. Do not take if allergic to any ingredients. If an adverse reaction does occur, discontinue use immediately, and consult with your doctor. If you develop swelling of the throat, difficulty swallowing, or difficulty breathing, please go to the nearest emergency room.